We provide quality clock maintenance and repair services throughout the Greater Michiana area. From in-home grandfather clock services to in-shop repair of antique heirlooms, we eagerly look forward to putting our 30 years of experience to serving you. Call us today to schedule an appointment. We will get your clock back in excellent working order. 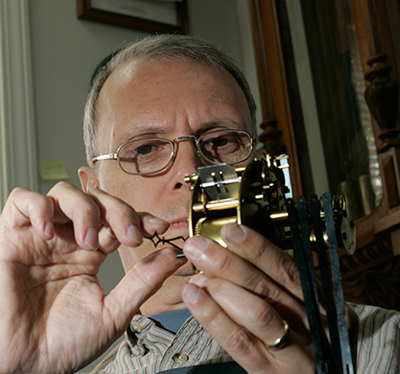 John Lemasters continues a tradition and love for clock repair his father started in the 1960’s. CERTIFIED REPAIR for Howard Miller, Ridgeway, Sligh, Pearl, and more. GRANDFATHER CLOCKS are our specialty. We happily make house calls throughout Michiana. We also repair a wide variety of antique and contemporary clocks.